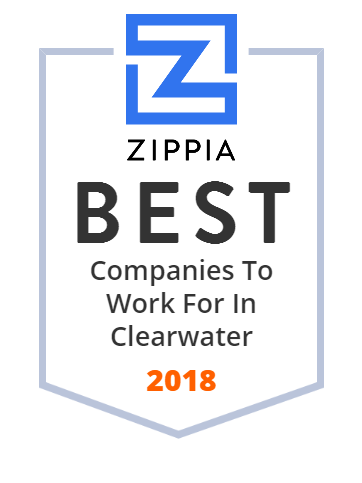 We hand-curated a list of the best companies to work for headquartered in and around Clearwater, FL using data on salaries, company financial health, and employee diversity. Since 1987, Frontier Lighting(tm) has been providing superior customer service, high quality lighting products, and technical solutions to lighting problems. It currently has 3 physical locations, one in Bradenton, another in Clearwater, and one in Ft. Myers. Each of these locations stocks thousands of lighting products, accommodates walk-in counter business, and offer free local delivery to the surrounding areas. At Pinellas County Schools, approximately 16,000 employees serve more than 101,000 students in pre-K through 12th grade. It offers many educational choices for students and provides dozens of career-focused programs, ranging from culinary arts to criminal justice. Pinellas County Schools also helps students to extend learning beyond the classroom and provides personalized learning opportunities. Its mission is to prepare students for college, career, and life. Base Culture offers a line of gluten-free, grain-free, dairy-free, and soy-free delicious snacks based on the Paleo diet. Its all-natural foods are made by using minimal ingredients with no artificial ingredients or preservatives. Its products include sandwich bread, gingerbread man cookies, almond butter brownies, mini sweet banana bread, nutty pumpkin bread, and many other great snacks. Base Culture was founded in 2012 and is based in Clearwater, Florida. OmniBazaar is developing a socially responsible consumer-to-consumer and business-to-consumer Internet marketplace that will allow users to buy and sell directly among themselves, privately, using cryptocurrencies (such as Bitcoin), through a peer-to-peer network (rather than via a central server). OmniBazaar, Inc. has developed a software program that performs various functions that are hepful to tis clients. With an office in Broward County, Charles Rutenberg Realty's agents live and work in many areas throughout Dade, Broward, Palm Beach, Martin, and St. Lucie counties. This trusted company's familiarity with so many wonderful communities gives them the local knowledge and expertise that will make the real estate transaction effortless. At Charles Rutenberg Realty, they pride themselves on delivering services that live up to the Charles Rutenberg tradition-unrivaled throughout South Florida. This privately owned and operated firm assists buyers and sellers with their real estate needs with special emphasis on "first-time home buyers" and short-sale properties. Founded in 1985, Fisher and Associates, Architects, LLC, is a professional design firm composed of architects, interior designers, and supporting staff. The firm has since established an industry-wide reputation as a leading design firm with extensive experience in commercial, office, retail, television studio, restaurant and industrial work. As the firm's practice has diversified, its geographical scope has widened as well, with projects throughout the Eastern Region of the United States.